Happy Saturday friends! 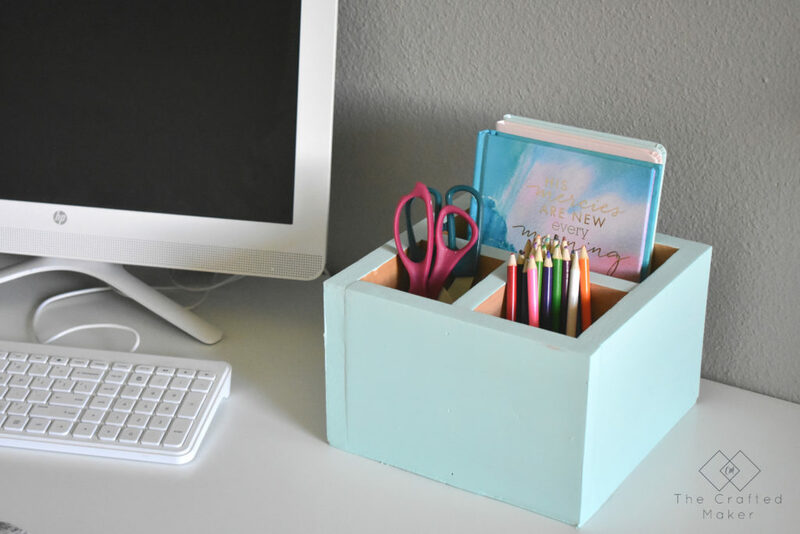 Do you ever feel like you need more organization on your desk or work area? 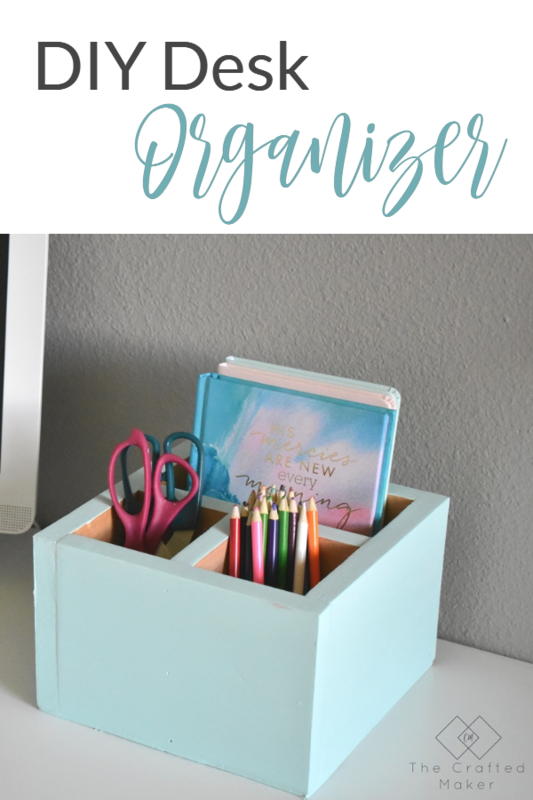 I sure do, so for today’s Scrappy Saturday post, I’m sharing this easy to build DIY desk organizer. Hopefully, it will make your space feel just a little more put together! Here is what you will need to get started. 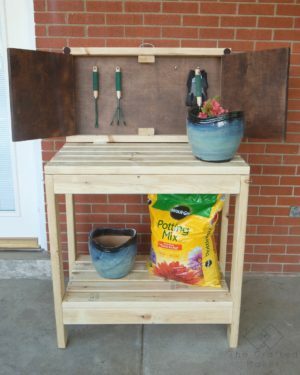 Scrap Wood – This project can be whatever size you want it to be. 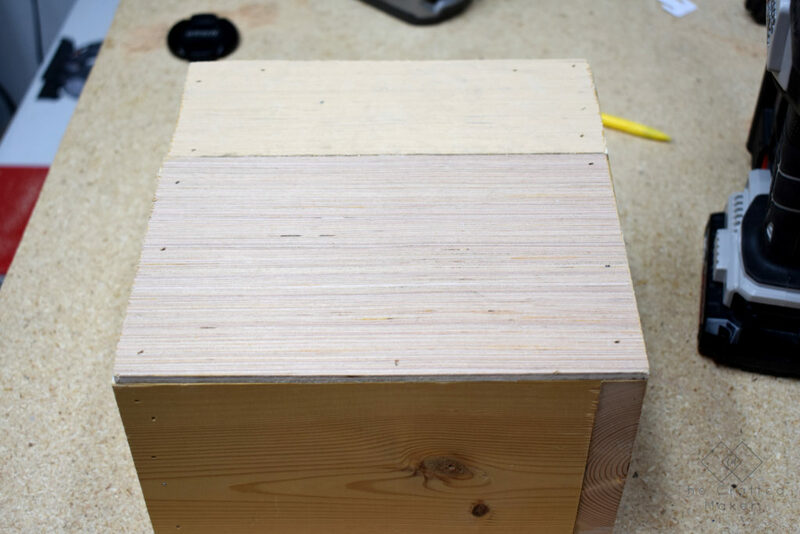 I used 4 – 1 x 6 @ 8″ to make the box. The other parts are measure as you go. 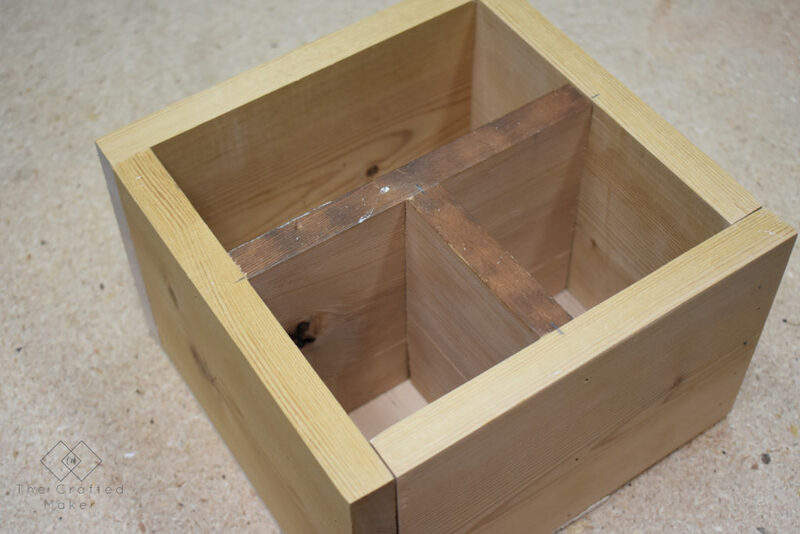 The first thing to do is make a box with your scrap wood. 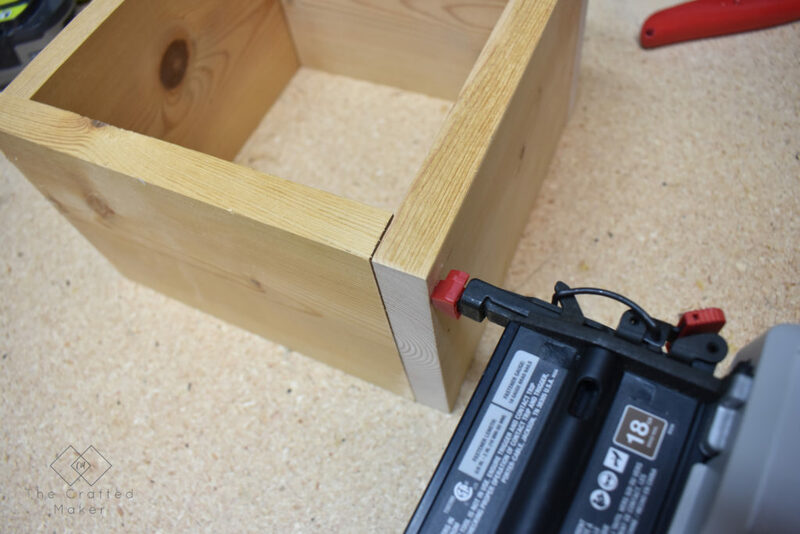 Attach the pieces together using 1 1/2″ 18g nails. 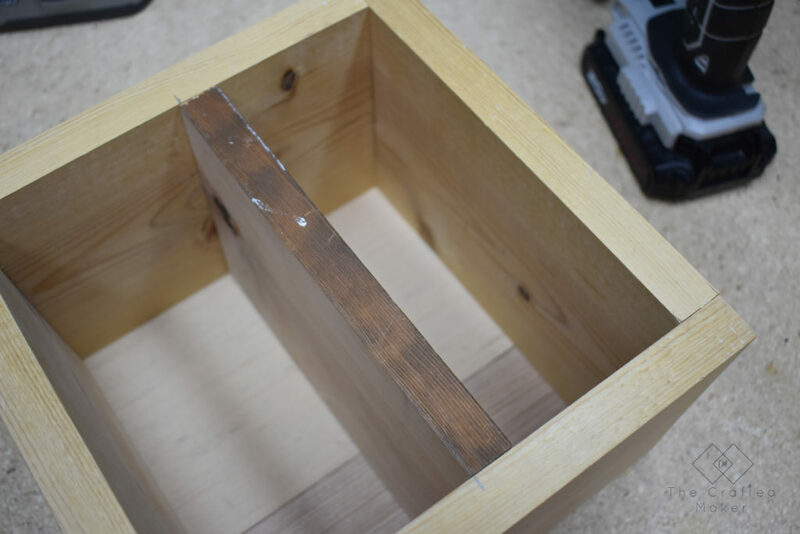 Once the box is completed, it’s time to give it a bottom. 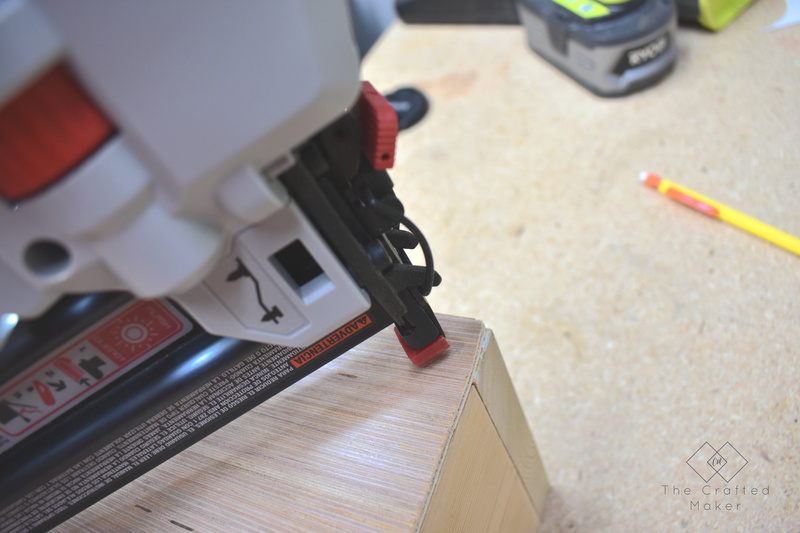 I used some 1/4″ plywood I had leftover from shiplap (tutorial for that coming soon!) for this. 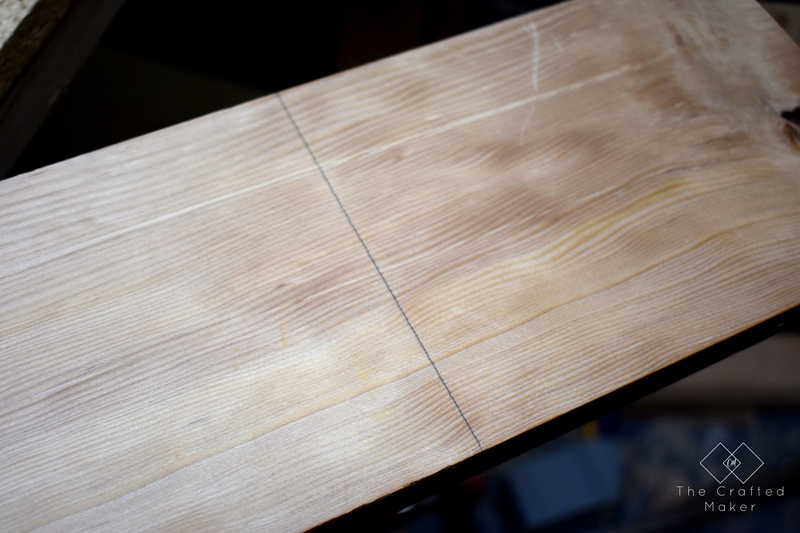 Since it was cut into strips, I just measured what I needed and attached using the 1 1/2″ 18g nails and the nailer. I measured and cut my first piece. This is going to be placed at 3.5″. 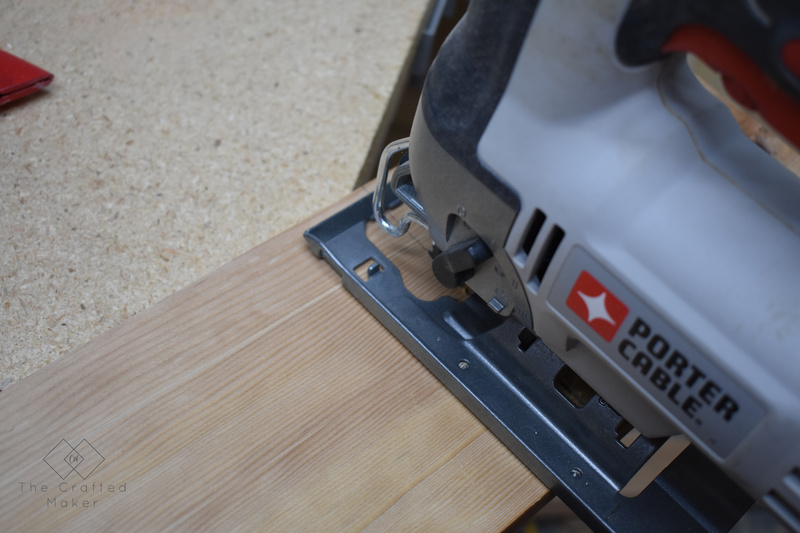 I cut out this piece using my jigsaw and attached with the nailer and 1 1/2″ 18g nails. 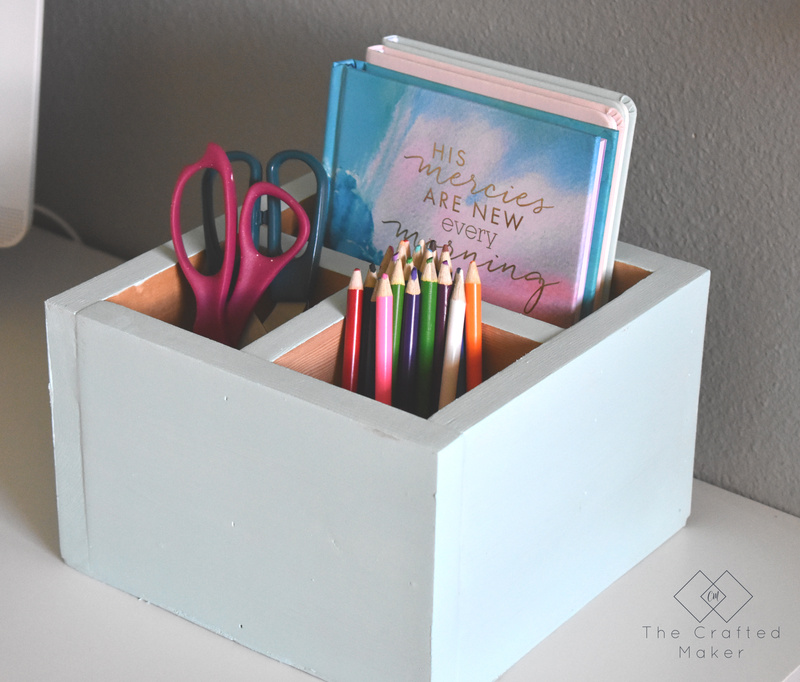 I wanted a more defined area for pens, pencils, and scissors, so I added another divider at the front of the DIY desk organizer. 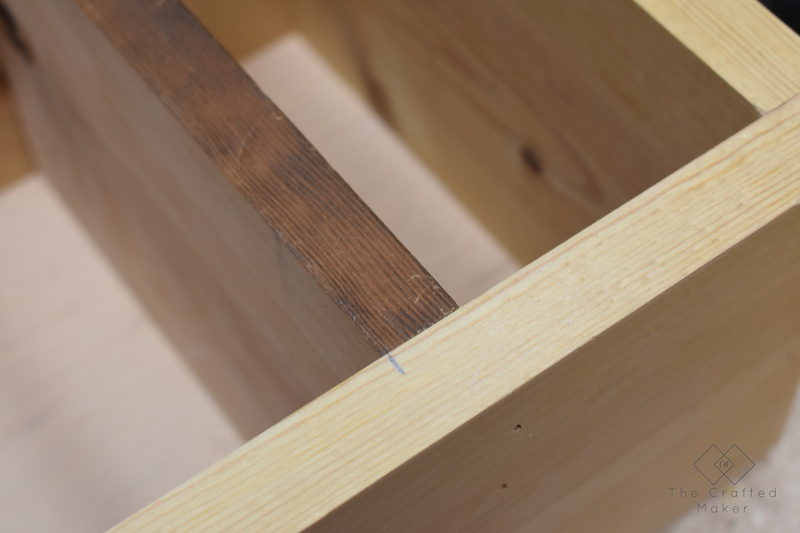 Just like the center divider, I measured and cut out another piece to fit in this space using my jigsaw again and attached with 1 1/2″ 18g nails. 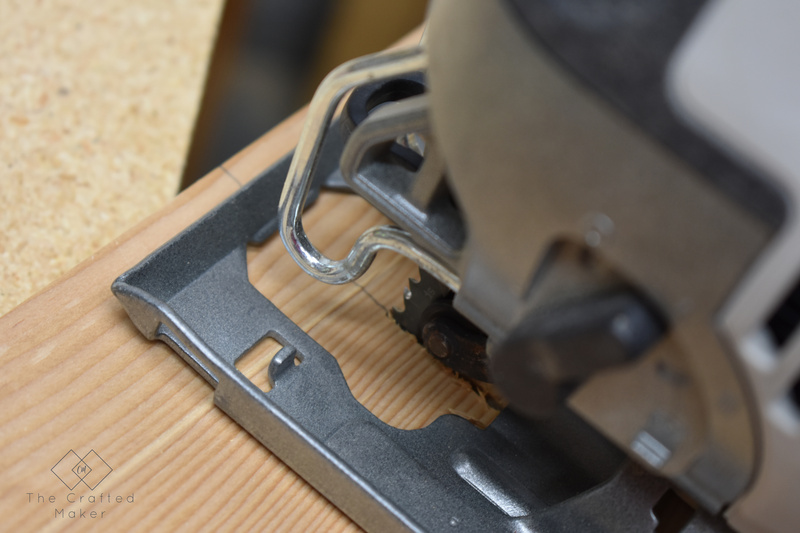 The wood I’m using looks pretty rough at this time, but not to worry, that is where the sander comes in handy! I sanded the entire project starting with 80 grit on the wood that had the old finish on it and sanded the rest with 120. At this time, fill any gaps, nail holes, or imperfections in the wood with wood filler and allowed to dry completely before lightly sanding again. 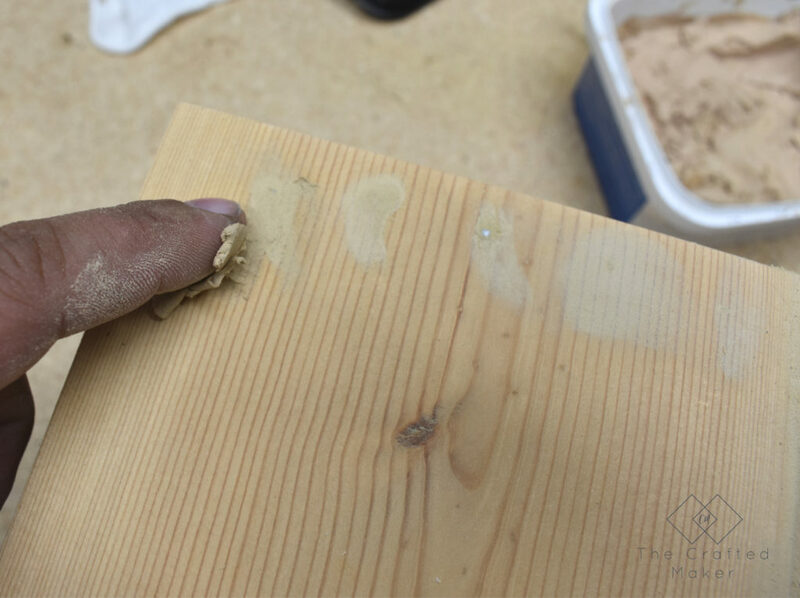 The wood filler you have will give you detailed drying time instructions on the package. With the wood filler dry and the project sanded, it’s time to paint. 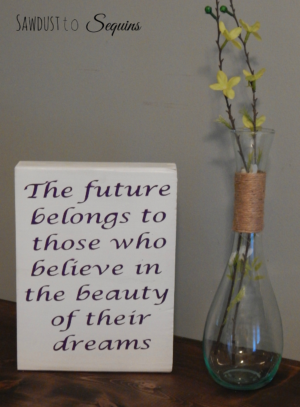 My office is gray and my desk is white, so I wanted to paint this project a bright color to contrast a little. 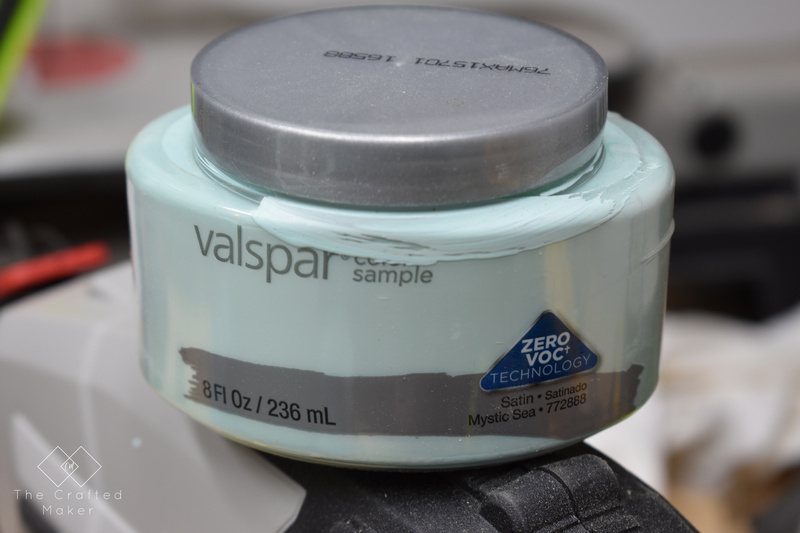 The color I chose is Valspar Mystic Sea. I bought a sample of this a while back, if you want to see this color on something else, check out this post here. When I painted, I left the inside natural wood. 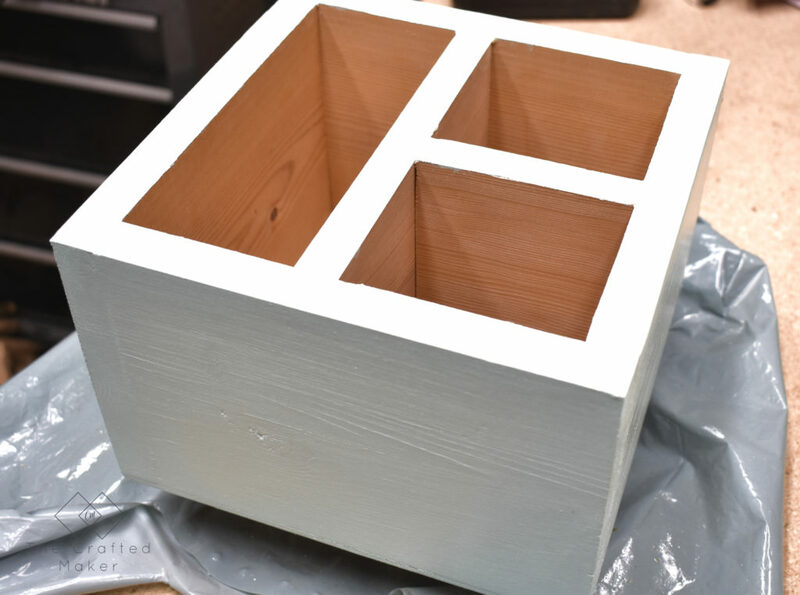 Not only will this make painting simpler, I like the two-tone effect it gives this project. Once the paint was dry, I used a clear coat to seal the project. Here it is in use. I love the organization this project brings to my desk. If you want to build one of your own, go for it, and remember to send me pictures so I can share on social media. (@thecraftedmaker).